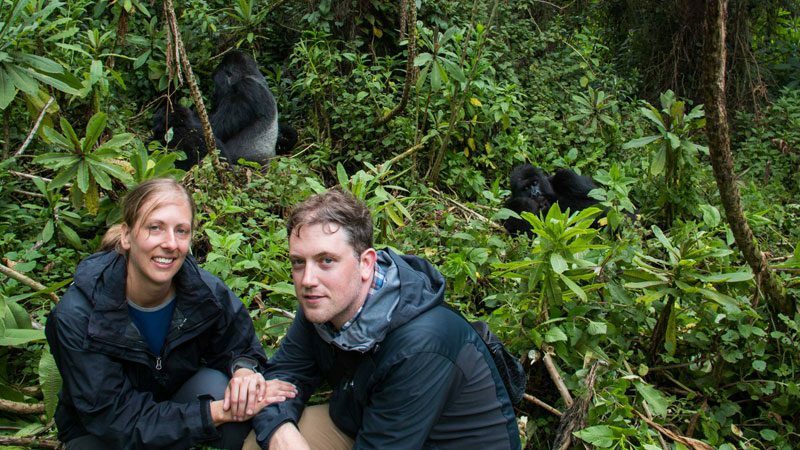 Here’s everything you need to know about trekking with mountain gorillas in Rwanda and Uganda. There are only two populations of mountain gorillas left in the world. The first lives in the Virunga volcanic mountains of Central Africa, with groups scattered between Uganda, Rwanda and the Democratic Republic of the Congo (our tours visit Rwanda’s Volcanoes National Park and Uganda’s Bwindi Impenetrable Forest). The second population lives deep in Bwindi. As of last year, best estimates are that – in total – there are fewer than 900 mountain gorillas left in the wild. That puts them on the Critically Endangered list (two classifications away from completely Extinct). The first thing to appreciate is that visiting mountain gorillas on a group tour can be quite expensive (going solo is often even more so). These animals exist in extremely remote locations, in countries not known for their tourist infrastructure, which means the logistics of a gorillas visit are a challenge in themselves. Tour groups must also pay permits for expert guides to lead them through Virunga, or Bwindi or Volcanoes National Park. Like most game drives in Africa, the experience is completely worth it, and we’re yet to hear anyone come back from a gorilla visit underwhelmed, but it’s just something to keep in mind. It’s also worth remembering that gorilla treks in Uganda have seasonal permit pricing, which means permits cost almost half as much in March and April. 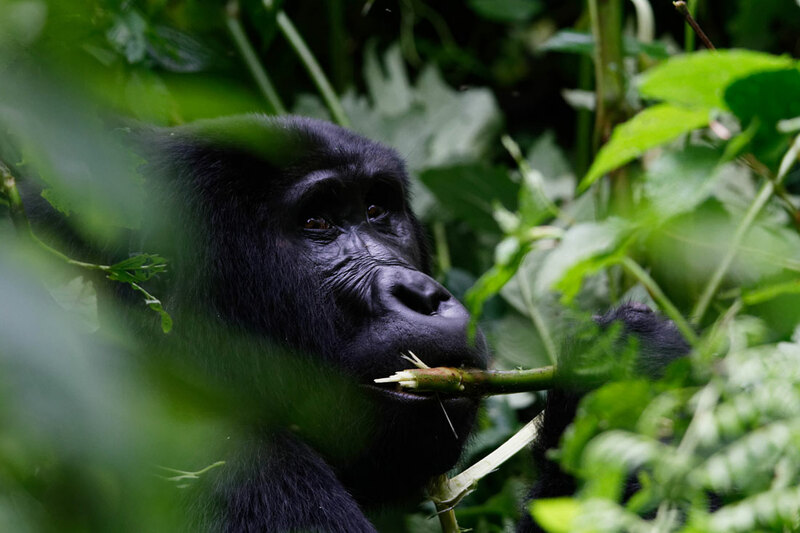 Mountain Gorillas of Uganda Experience – A compact 5-day itinerary from Kampala to Uganda’s Bwindi Impenetrable Forest. If you’re passing through Uganda on your own, this would make a fantastic trek add-on to a larger itinerary. Mountain Gorillas of Rwanda Experience – An equivalent 4-day shortbreak, this time in Rwanda’s Volcanoes National Park. This one comes with an optional ‘Gorillas in the Mist’’ trek to visit the grave of Dianne Fossey, as well as her old research station, deep in the jungle. Serengeti and Silverbacks – A more comprehensive 14-day itinerary, with an overland transport and a dedicated Peregrine leader. 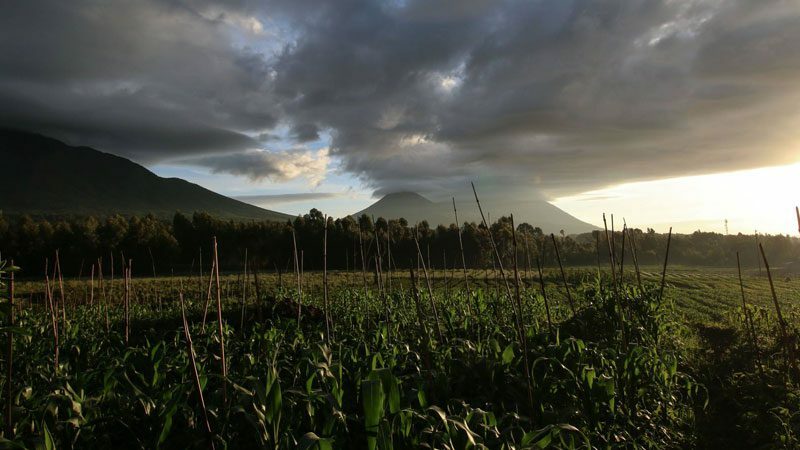 It combines gorilla trekking in Rwanda with safaris on the Masai Mara and Ngorongoro Crater. One for the serious wildlife buffs. Eventually, after bush-bashing your way through the scrub, you’ll come across a gorilla family, peacefully playing in a forest clearing. Your trekking guides and rangers will have prepared you for what to expect. There’s no direct interaction with the gorillas (unless one moves past you), but you should get pretty close. You’ll have a good 45 minutes to an hour to just sit and observe these animals in their natural habitat. We promise it’s something you’ll never ever forget. For a really good account of a gorilla visit, check out this blog we published a while ago. Mountain gorillas live way up in the cloud forests, ranging from an altitude of 2200m to 4300m (a not insignificant height – you may feel a little short of breath. Remember to let your guide know if you feel a headache coming on). The vegetation on the lower slopes will be dense, often a mix of bamboo, ferns and galium vines. As you climb, the undergrowth should thin out a bit. The zone where the gorillas live is misty, damp and (depending on the weather) can be a bit cold. Mountain gorillas move around depending on the season, spending time in the subalpine regions to feed on senecio trees during certain times of the year. 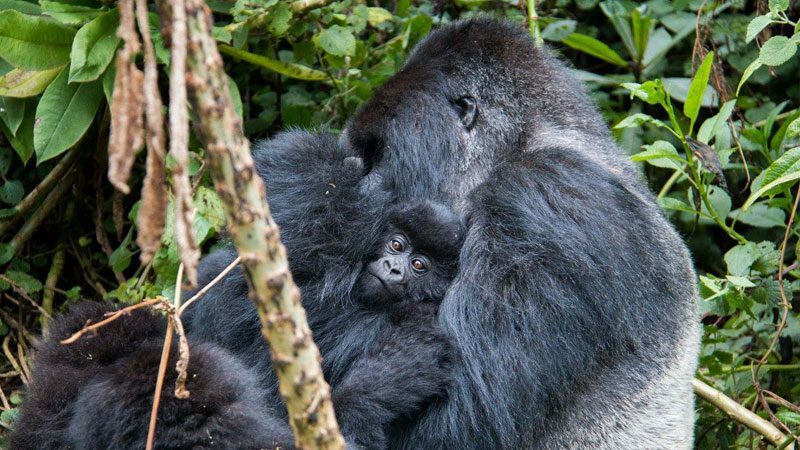 Want to come face-to-face with Africa’s mountain gorillas? Explore Peregrines gorilla small group treks, or join us on a special Limited Edition Gorilla Expedition to Uganda.